Discussion in 'Downhill & Freeride' started by BM-peacock, Sep 21, 2012. Interbike brings an unimaginable amount of downhill bikes and products to Las Vegas. Here's a selection of products coming out in 2013 that might turn some heads. That Fox helmet, frankly, looks awkward. With the chin guard extending so far out from the face and with it being as big as it is, it looks like it'd be more of a hindrance than anything else. I'm feeling the Iron Maiden paint job. Regardless of functionality, she sure looks good. 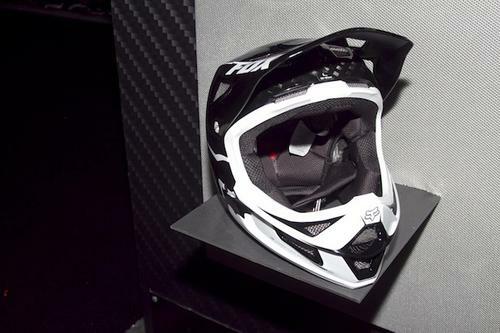 What about safety of this new Fox helmet? What tests does it pass? I would think that's slightly moar important for a high end helmet than making sure the colorway matches my new kit. And you are talking abut which one exactly?? They all look normal to me. A lot of Monkies would like Sweet Protection (www.sweetprotection.com) They were at Eurobike, but can't see them being at Interbike yet. Anyway, I'm rocking their Fixer helmet and it's working out very nicely indeed! for this season, i give up bicycle helmets. quite a few friends have gotten concussions (one was in coma for a couple days) over the last 2 years. apparently, the eps on bicycle helmets bottom out easily. the one who was in coma, fell off a cliff, bouncing down for like 120ft, headbutting rocks all the way down. his TLD D2 broken in 2, and was bottomed out in like different 3 places. just bought a DOT/SNELL V2 Race for downhill racing / big mountain riding. we´ll see how it ventilates. 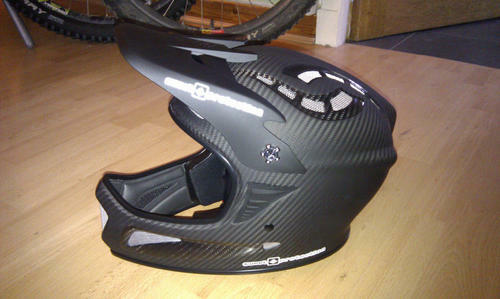 even if it doesnt.. i rather have a multi-impact helmet, with a thicker eps, even if i sweat a bit more; than being in coma. Our new bike catalog flipbook is online. I'm riding with a V3 Carbon, the ventilation isn't that bad. And it's lighter than my friends D3. I like my V3R a lot. Seemed fine on east coast mid-90s humid days. Quality is good for the price I paid. I would disagree. From what I have seen looking at a few helmets after crashes that have resulted in minor concussions, there is usually barely any visible crushing of the EPS. The goal is to crush the helmet, thereby absorbing the energy instead of transmitting it to your brain. So, there should be a lot of helmet damage after a bad crash. Your friend's helmet sounds like it worked exactly as intended. If he fell off a cliff, tumbled for another 120ft hitting more rocks, yes, his helmet should be pretty much destroyed. And, this is why I want to see helmet test data- so we have actual facts to base our helmet safety decisions from, instead of speculation. Even my thoughts above are still based on some speculation, albeit I still think there should be some noticeable helmet crushing in a crash that results in a minor concussion.